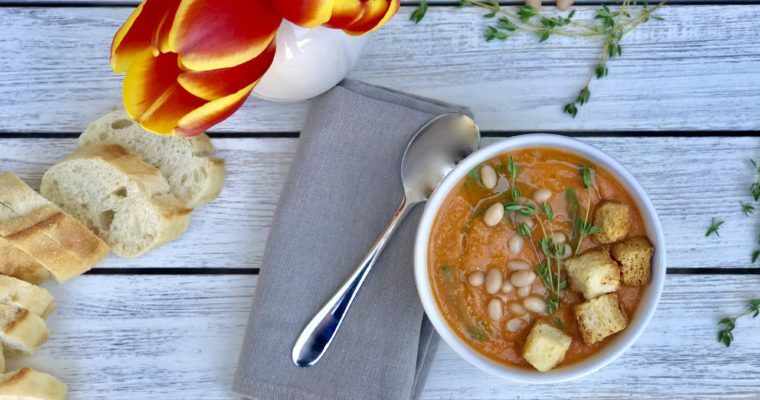 Everyone needs a quick meal sometimes, and this is a delicious one, plus it’s gluten-free. 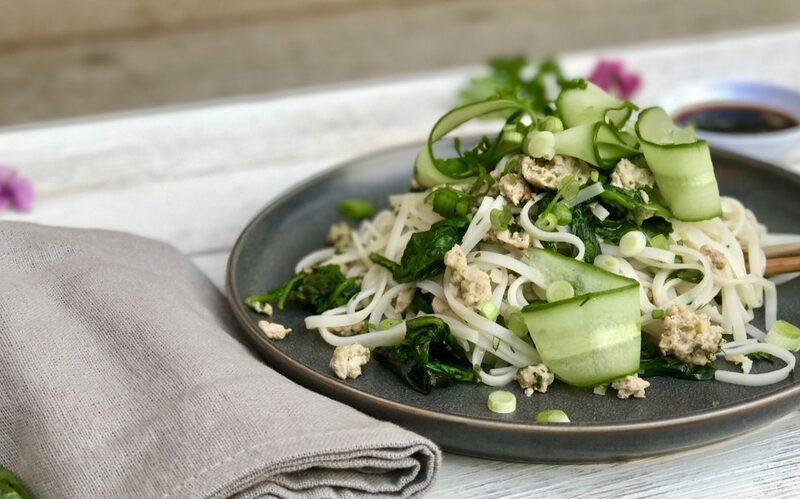 Sautéed rice noodles with ground pork is an easy, family friendly dish that can be whipped up even on your busiest nights. Asian noodles, a long time consumer favorite, have become increasingly popular, at least in part because of their gluten-free factor. With more people becoming concerned/aware about gluten sensitivity, creating a rice noodle sauté seemed liked an obvious thing to do. Rice noodles are common in East and Southeast Asia and are readily available at most supermarkets. They come fresh, frozen or dried, and in varying thicknesses. If you look hard enough, you can find them made out of brown rice for added health benefits. 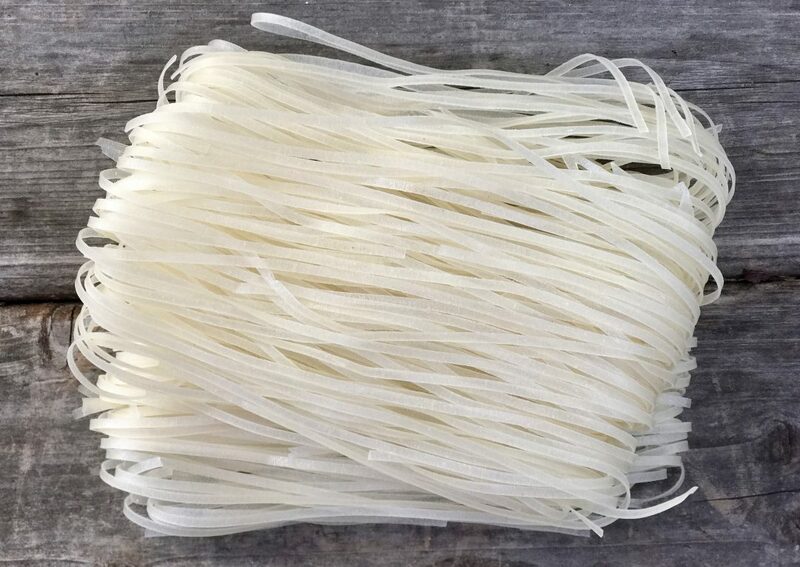 Rice noodles are simply noodles that are made from rice flour. Their principal ingredients are rice flour and water–and since rice does not contain gluten, rice noodles are gluten-free. Although I am not gluten intolerant, and I appreciate a great pasta dish, I don’t always love the way I feel after eating a big plate of traditional pasta. 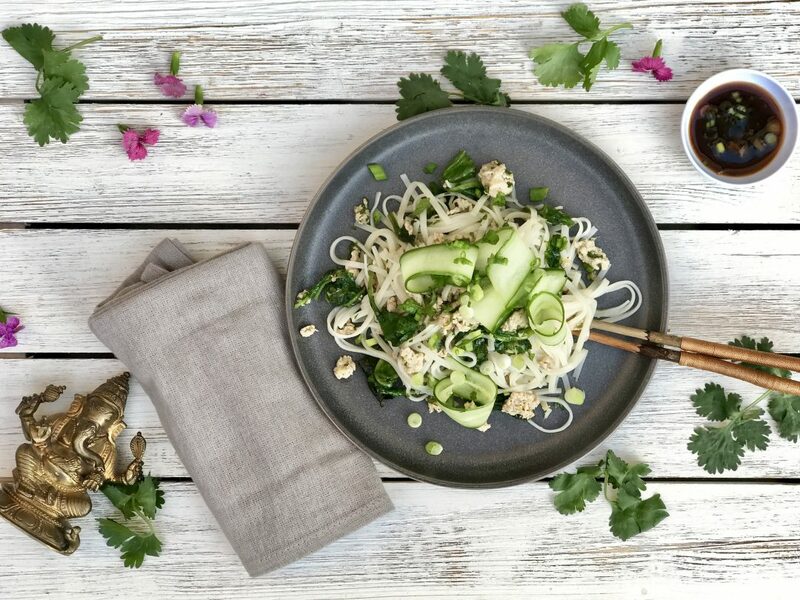 As it turns out, rice noodles have a decent amount of protein, fiber, and even iron, so they are not a bad decision health-wise either. With their mild flavor, rice noodles can be paired with just about anything. And their quick cook time in another bonus. For this recipe, I used a lean ground pork, a great low-fat protein option. 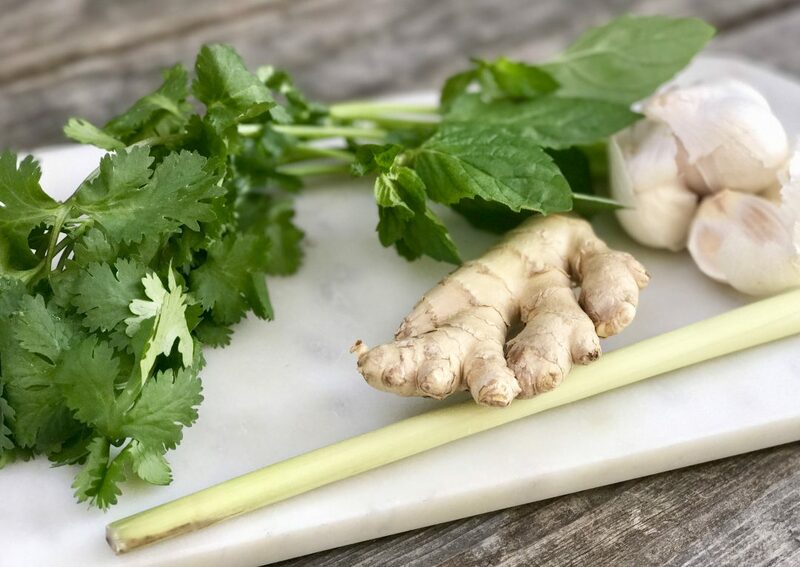 Fresh ginger, garlic, lemongrass and cilantro blend nicely together, giving this simple dish a slight Thai feel. Many people tell me they shy away from these types of ingredients for fear they will be overwhelming and their kids won’t like them. Don’t avoid them: the flavors in this rice noodle sauté are subtle enough to appeal to all types of eaters. Not a pork eater? No worries, I have also made this dish with ground turkey and that worked just as well–without compromising taste. 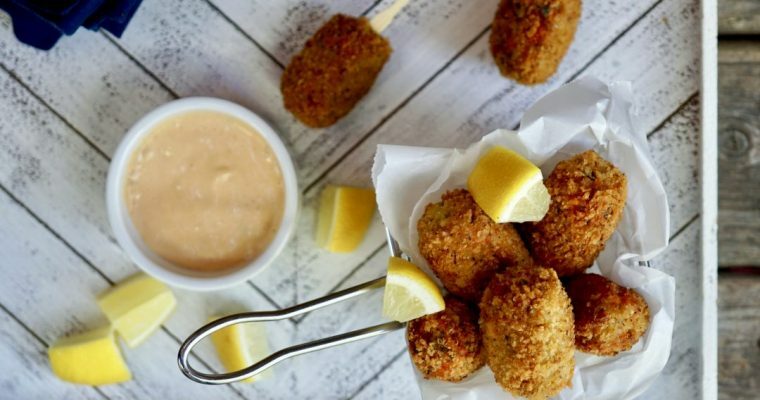 For vegetarians, try using a firm crumbled tofu, it’s another great option that will work well with this versatile dish. Step 1 In a small bowl add the soy sauce, ginger, lemongrass, jalapeño, garlic, lime juice, and pepper. Mix well to incorporate. Divide the mixture in half. Step 2 In a medium mixing bowl add the ground pork half of the soy marinade, and toss lightly to coat. Allow meat to marinate for about 5-10 minutes. Step 3 Cook the rice noodles per the package instructions until tender. Drain and toss with one tablespoon olive oil to prevent sticking and place in a mixing bowl. Step 4 Place a large sauté pan over medium-high heat. Add the remaining 1 tablespoon olive oil. When hot, but not smoking, add the remaining soy marinade and cook for about 30 seconds. Add the pork and salt and cook until beginning to brown, about 6-8 minutes. Step 5 Once the pork is cooked through, add the chicken stock, sugar and kale and cook for about 2 minutes until the kale has wilted. Step 6 Add the pork mixture to the rice noodles. Add the mint and cilantro and toss well to incorporate. Adjust the seasoning as needed to taste. Step 7 Serve warm. Garnish with chopped scallions.